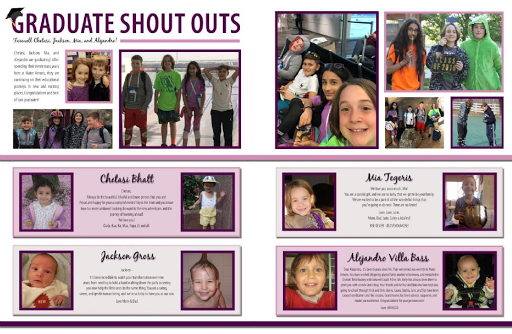 Entourage Yearbooks is proud to announce our nationwide yearbook contest. 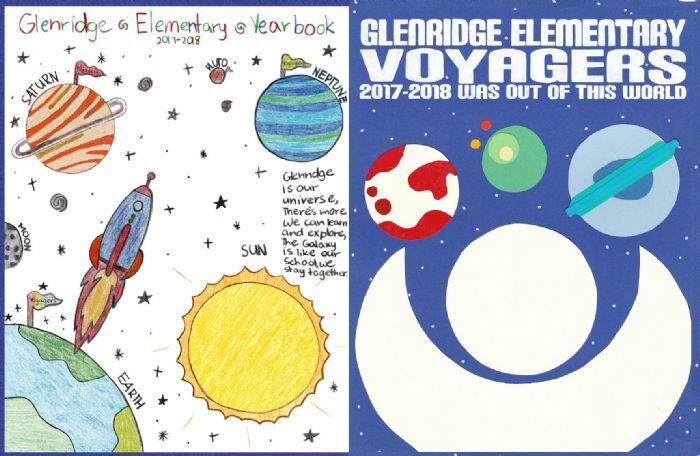 We sponsor this contest to recognize students, staffs, and yearbook advisors who have demonstrated outstanding achievement in creating yearbooks for their schools. 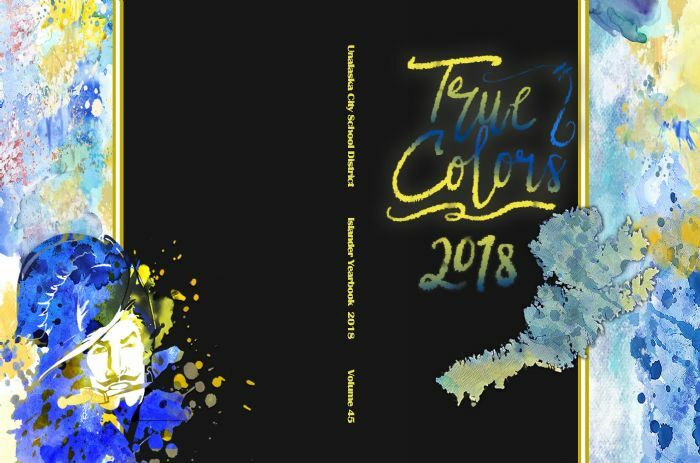 Grand Prize for OVERALL YEARBOOK Winner for 2018! 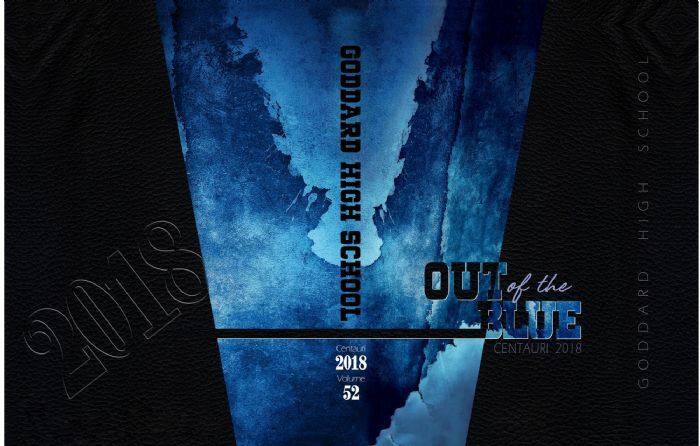 Overall yearbook is judged based on the use of written and graphic elements carried throughout the entirety of the yearbook. Entry Description: Students wanted to express we are more than just a small school in the valley. 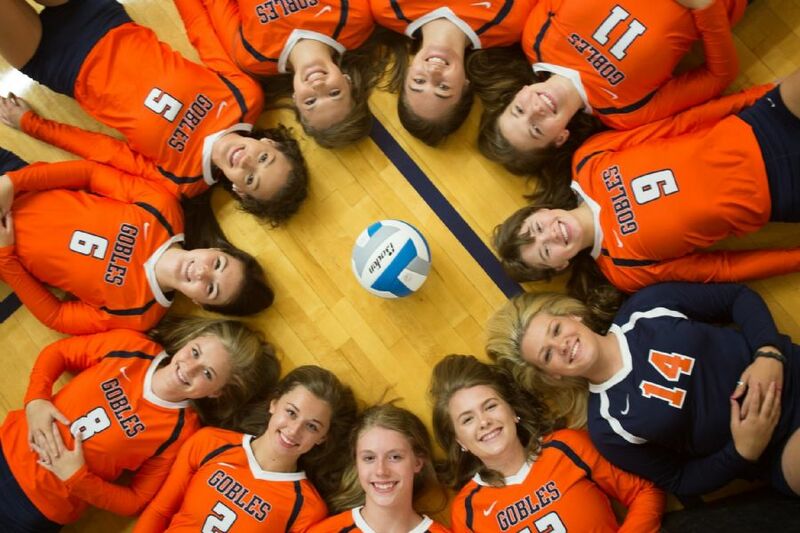 They wanted to counter peoples assumptions about a small school and encourage others to take another look at who we are. 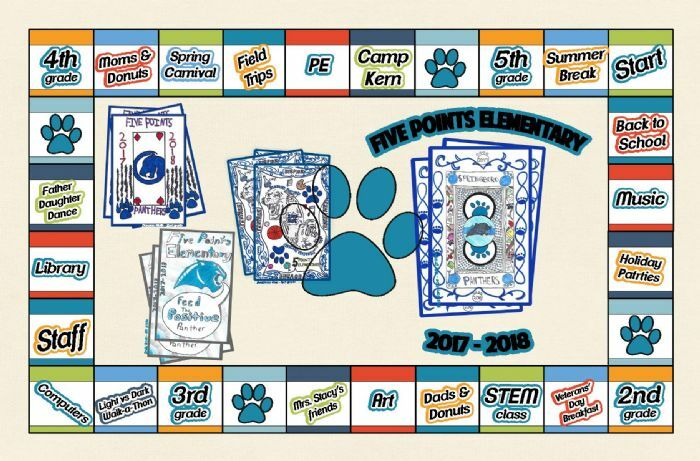 Entry Description: We wanted to do a book in alphabetical order, something really different, boldly graphic and more non-traditional. 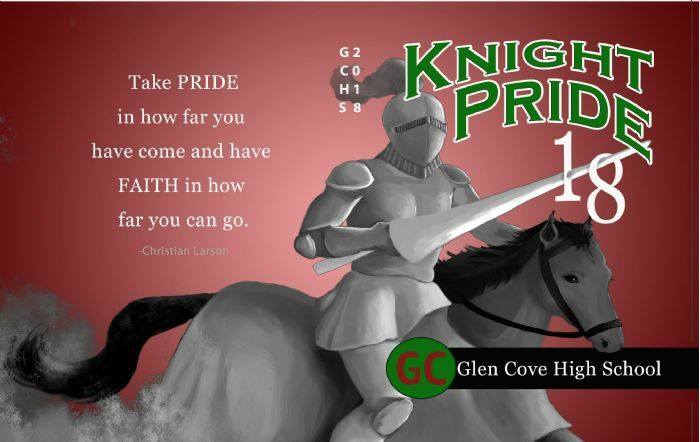 Entry Description: Glen Cove High School colors maroon and green were evident in our color scheme and we were very serious about having this be a very inclusive yearbook that represents our diverse student population and our sense of unity. 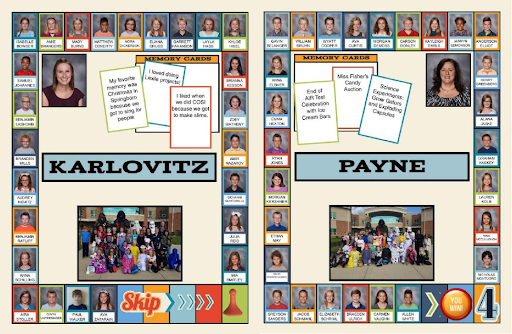 We also wanted it to be fun by designing some pages as if they were comic book style with interactive qualities. 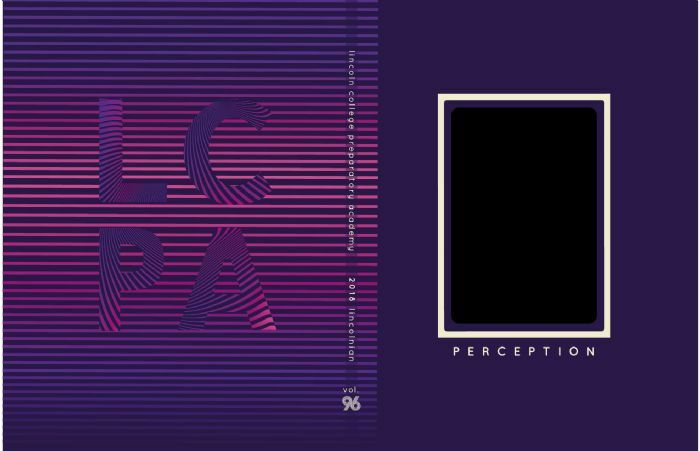 Yearbook cover designs are judged based on overall design quality, relevance to school and current year, as well as the use of graphic and textual design elements. 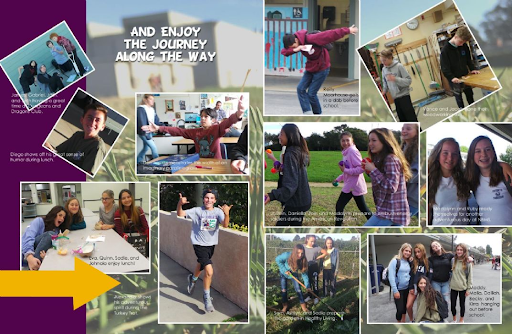 Entry Description: Our yearbook theme is Looking back to the Past and Looking into the future. 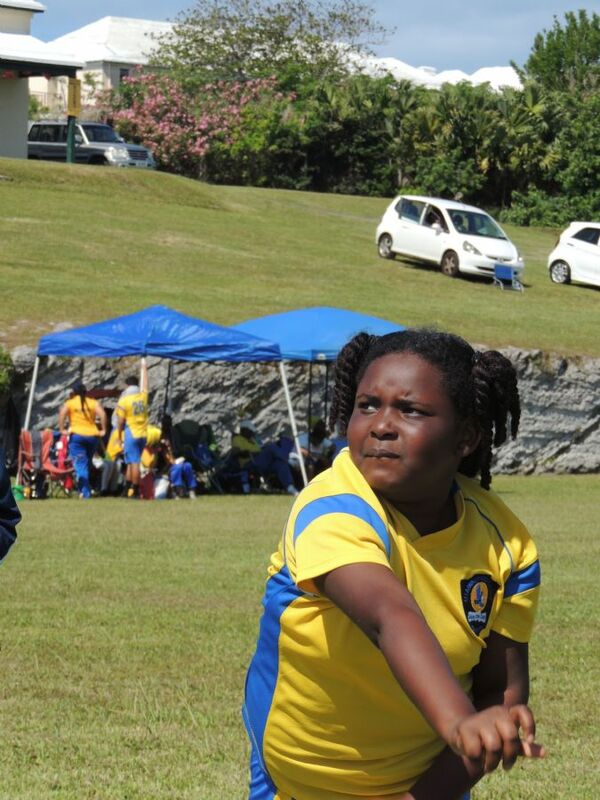 The black and white represents the past and the blue and yellow (our school colors) represent now and the future. The lightning bolt focuses on our principal(center), who is retiring this year. 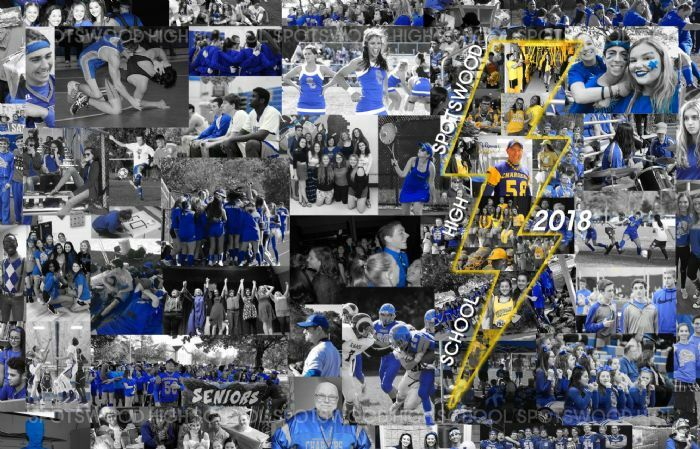 The cover will be done in a matte finish with Spotswood High School, 2018 and the outline of the lightning bolt in gold foil. 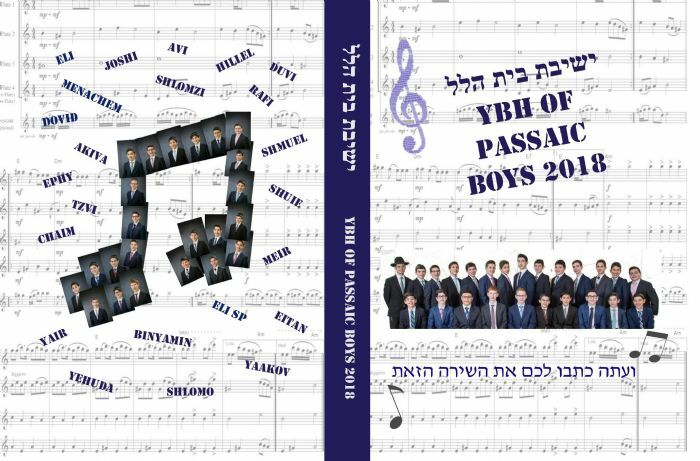 The idea for the cover and the creation were completed by Sheliza Dollete, yearbook editor. This submission is being made by Barbara Furman, yearbook advisor. 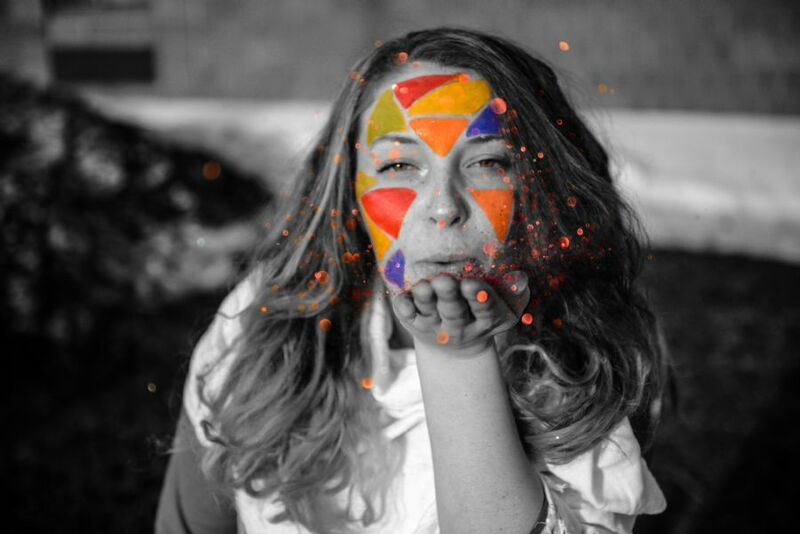 Sheliza is truly talented and work diligently to perfect our cover, one that I am proud to submit into the contest as her advisor. 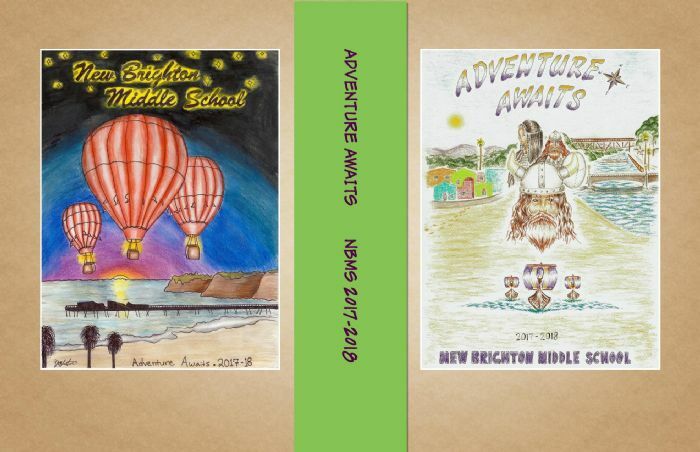 Entry Description: Every year there is a scriptural theme selected, developed, and promoted throughout the school year. This was our current theme in both English and Spanish. 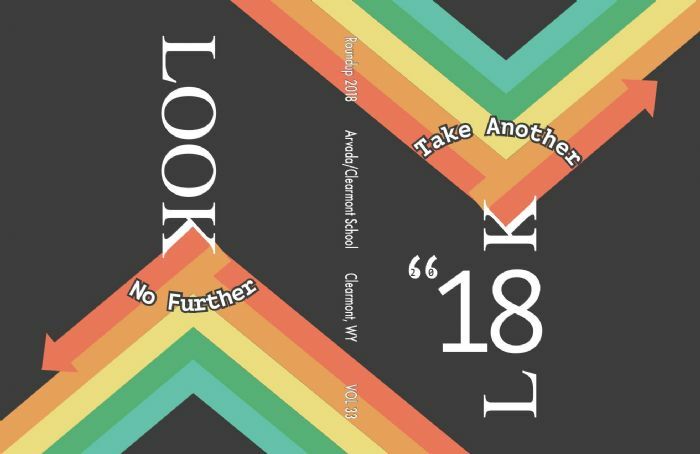 Entry Description: I was looking at cover designs online and I thought that having a bar of color along the side would look nice and play into our theme well, seeing that our theme had to do with art. I thought of our school colors, gold and blue, and thought that I could make the sides sort of “bleed blue and gold" like our school saying. 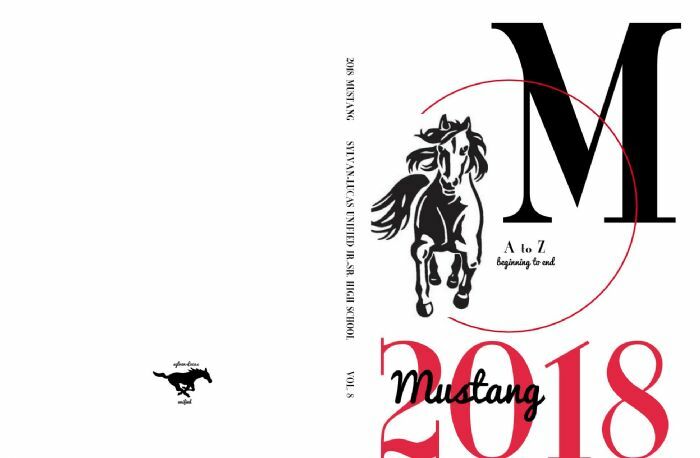 I wanted the yearbook cover to accurately represent our school pride and show who we are as a whole. Page layout design is judged based on the overall layout design, the use of innovative techniques, and the use of captions, headlines, and graphic elements. 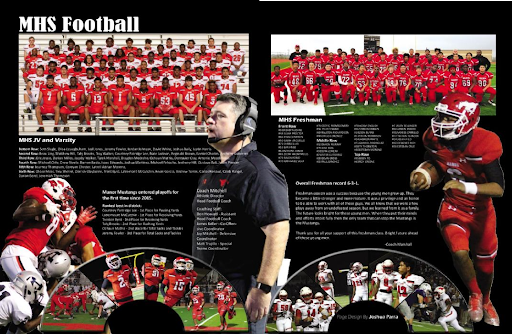 Entry Description: This page was designed by Joshua Parra a graphic designer for yearbook and a Senior who loved the game of football and demonstrated his page layout skills. 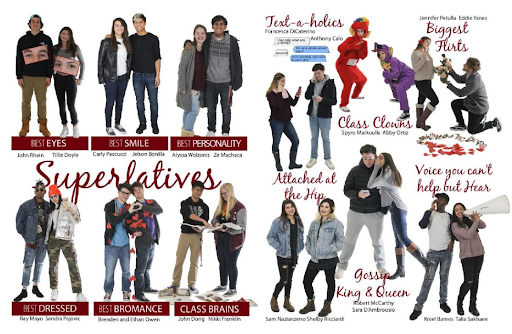 Entry Description: Students dressed up in various outfits during Homecoming Week. The outfits inspired the design, and then it was just a matter or putting it together. Entry Description: Simply wanting to use the clipping tool and work with silhouettes inspired us. From there we imagined how text could work with the negative space to create a sense of layering/depth and movement. 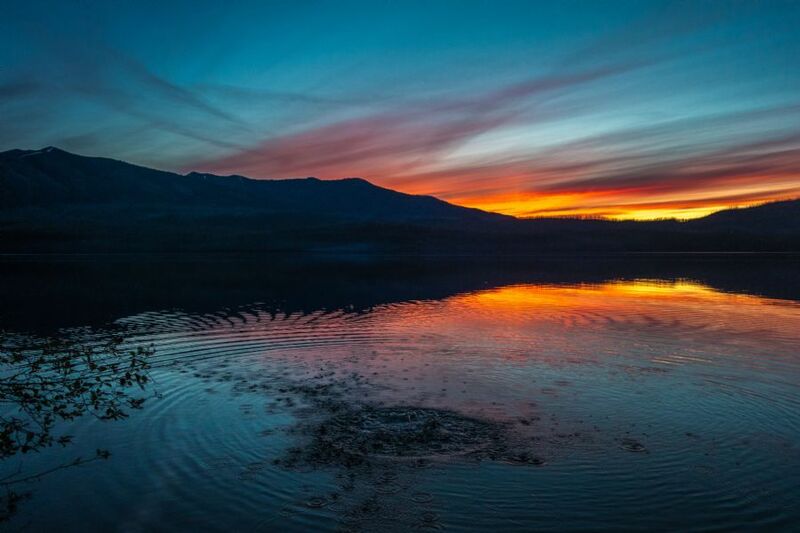 Photographs will be judged based on creativity and composition. Entry Description: Our theme colors for our yearbook inspired me along with the black and white editing theme to contrast. Entry Description: Student brainstorm / voting / student’s theme presentation. 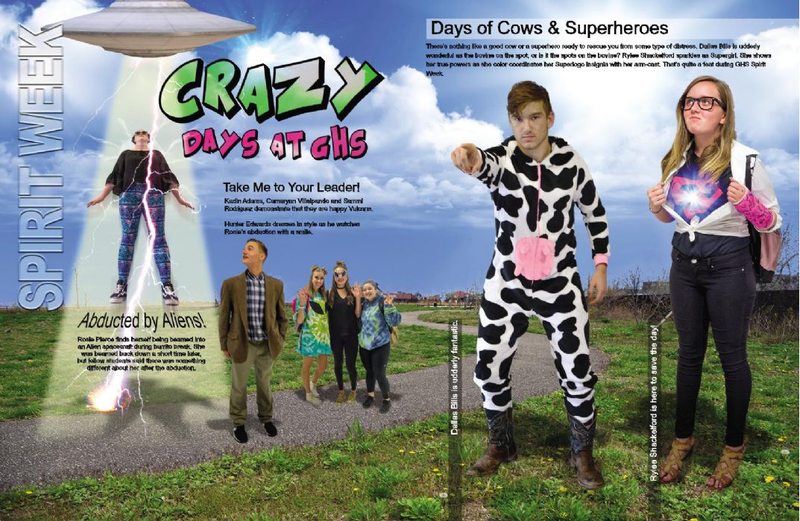 Entry Description: As Yearbook Teachers and as a staff we pondered many different themes. We loved the idea of arrows and searched until we found the perfect saying that represented our students. 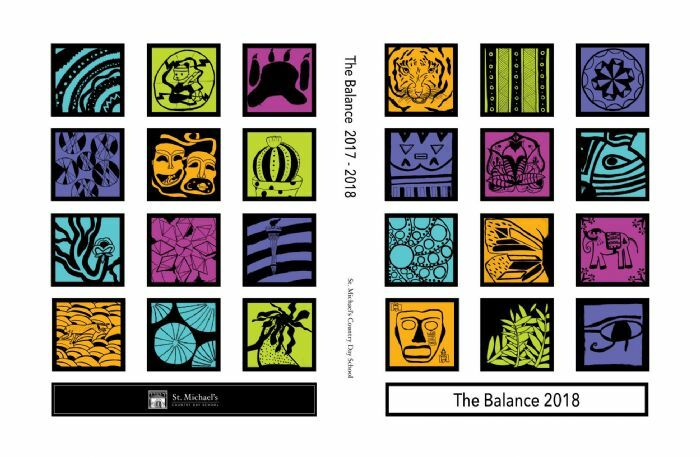 Entry Description: As an arts-focused school, our yearbook highlights our students and the arts. Entry Description: The recognition that each student is a unique ‘musical note’ which is necessary for the song of life. Entry Description: Arrows and a left edge band were part of the general design. Background photos were taken around campus. 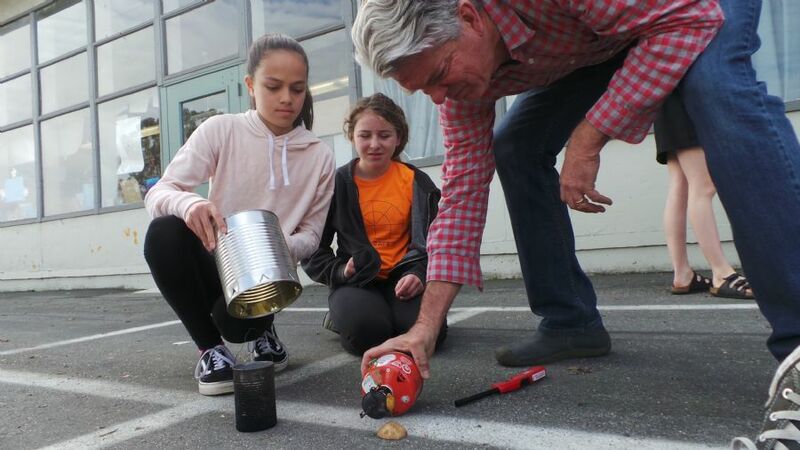 Entry Description: We were showcasing things that the students did outside of school. We used a lot of squares in our book in accordance with a scrabble/words with friends board. Entry Description: The science teacher was giving a lab on calories. 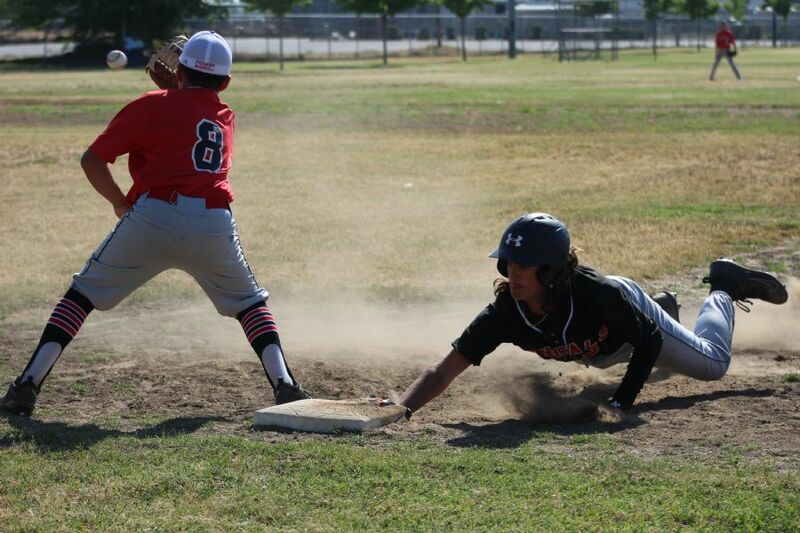 Entry Description: Trying to capture action of players headed back to first. Entry Description: Our children are growing up and going to school in the greatest city in the world, NYC! 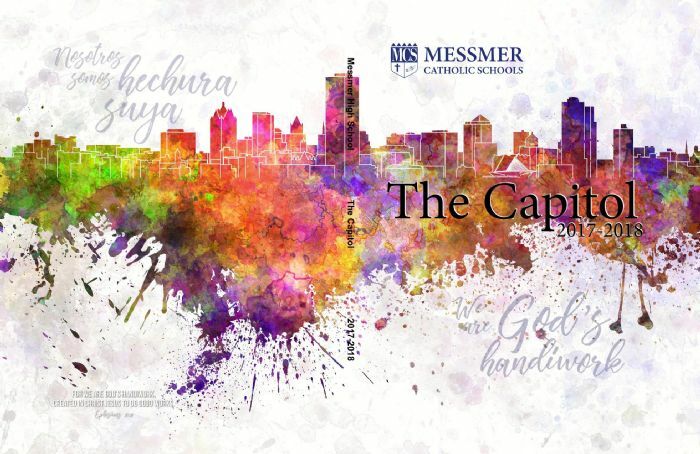 We decided to use “Life in the City" as our theme this year since it was rich with opportunities for many personal images and it would be VERY meaningful to the student body and their families. Entry Description: The Bible verse in Romans 12:2 that talks about “being transformed by the renewing of your mind." 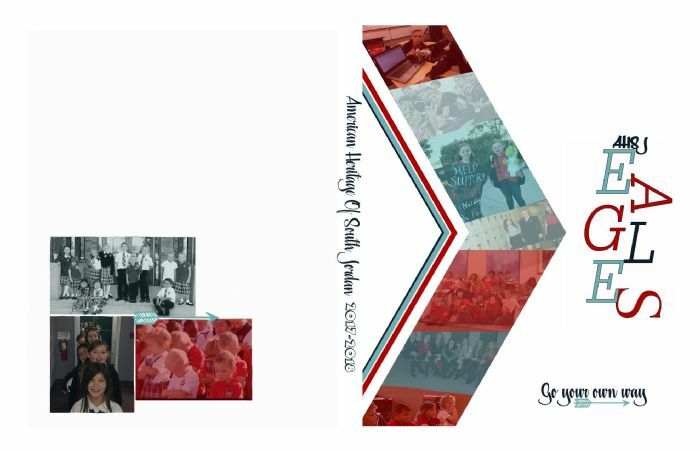 Students are constantly learning and our school instills Godly principles so we wanted the yearbook to reflect things throughout the year that we experienced in order to transform the students. 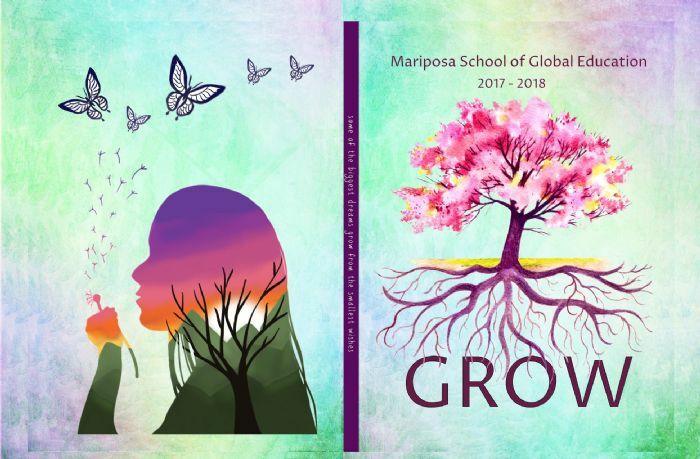 Entry Description: We chose the theme GROW because we have grown from an elementary school to a K-8th school. We also have a robust garden where we GROW food that we harvest and eat. 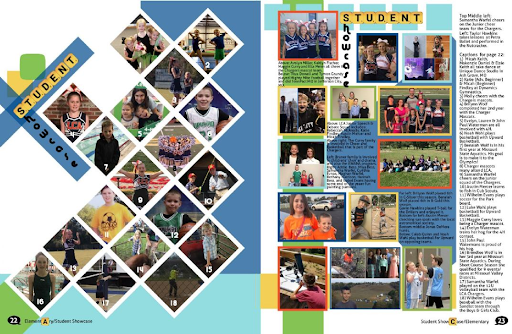 The yearbook also represents the growth of the students throughout the year. 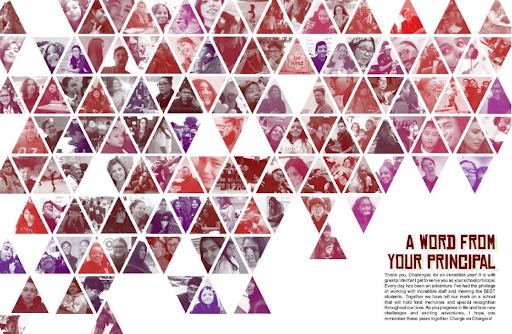 For each class photo page, we added a dandelion graphic made up of the thumbprints of every student within that class. 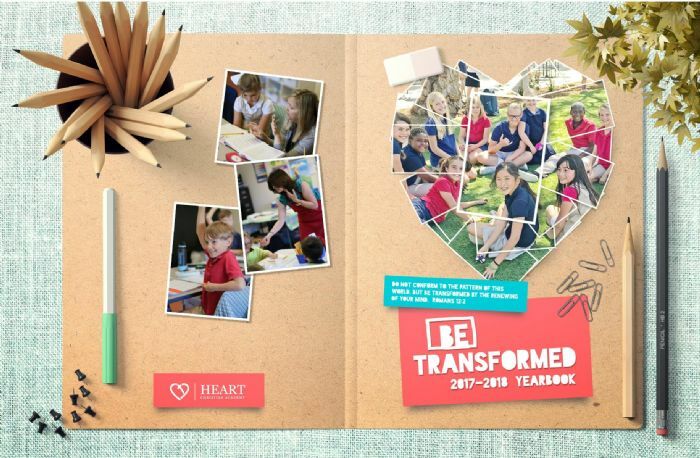 This year we added a design aspect to the book and each page was meaningfully created and the yearbook truly represents the spirit and philosophy of our school culture! Entry Description: Games, board games. I’ve been wanted to use a game theme for a few years, but never could get the whole idea together in my head, but this year it just came together for me. Entry Description: This years theme was space. 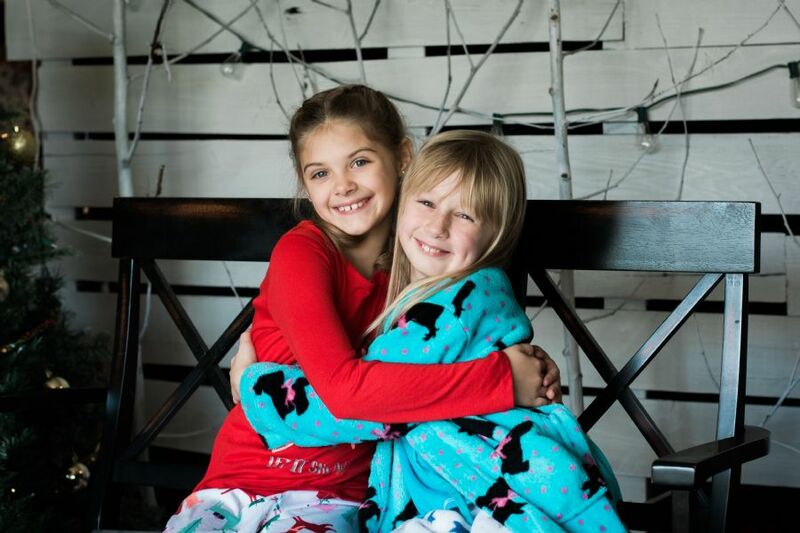 Entry Description: On the 40th day of school, we ask the students to wear any of their PS40 shirts to show off their school spirit. We have a wonderful new rooftop playground at our school which fits well with the “Life in the City" theme. 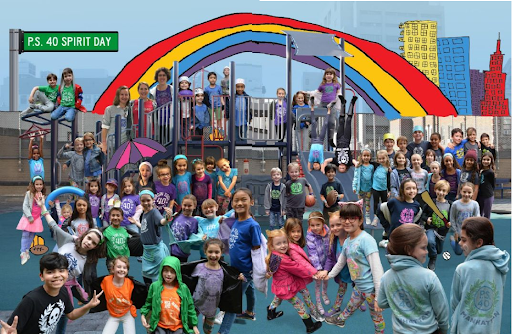 I decided to photograph the rooftop playground and use it as the background for the Spirit Day photos. 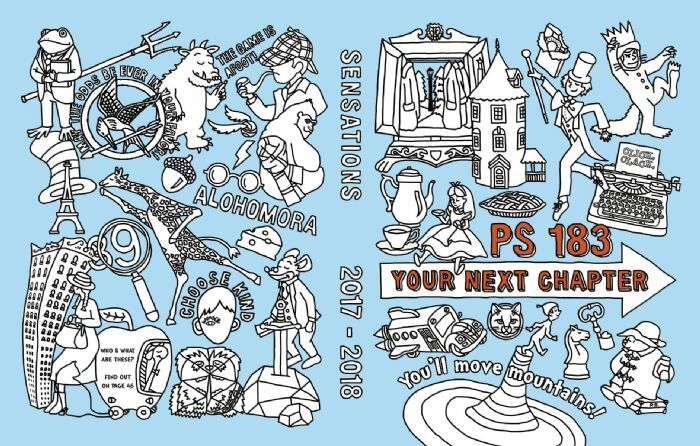 I added various doodles including skyscrapers, the rainbow, baseball bat, ball and the umbrella drawn by the 5th Grade Graduates, which added more fun and spirit to the spread. I silhouetted and scaled the photographs to incorporate a wide variety of age groups of students. Entry Description: Clean lines and pops of color. 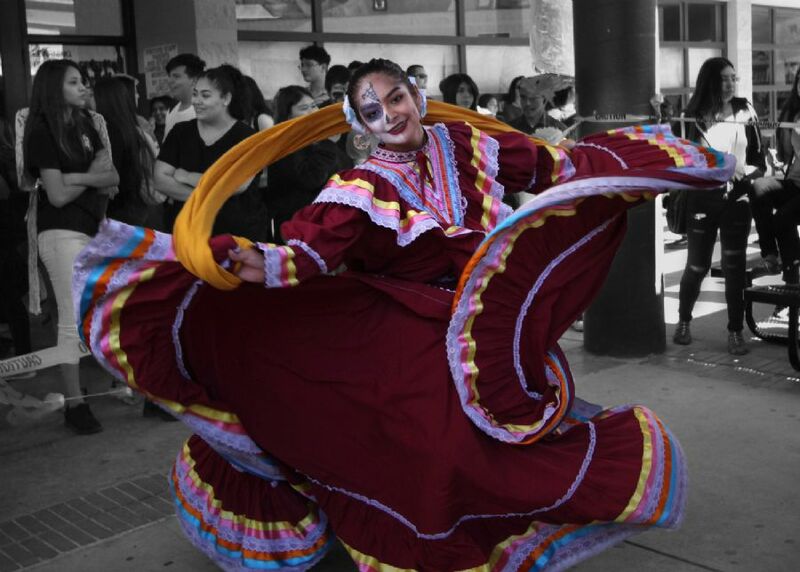 Entry Description: National Dance Institutes is a Dance program that the entire 4th grade participates in weekly for the length of the school year. 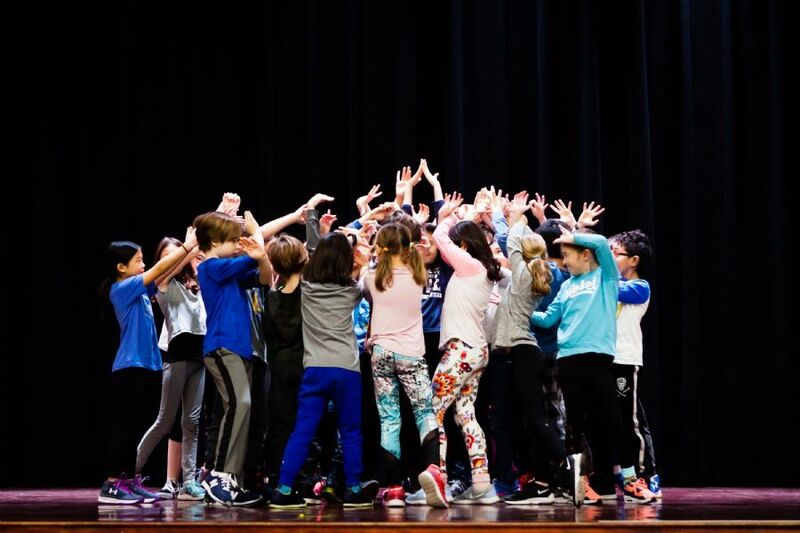 Dances are created by the students and include everyone in the grade (95 students!) Performances are put on twice yearly. It is a joyful, high energy, all-inclusive performance and I wanted to capture all aspects of the beautiful imagery these children created.